Being a parent is hard, whether you’re a working parent, stay at home parent, work at home parent, etc., it is hard work! It is not a competition as to who has it easier, harder, etc., etc., etc. I get so tired hearing these arguments over and over again from friends, in the media, on blogs and social networks. Being a parent is hard…Full Stop! 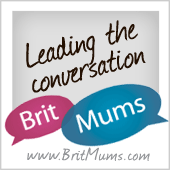 I have been both a working mum and a SAHM. Personally, I find that my “job” as a SAHM is more difficult than my job as a teacher. But, I love my new “job” more than I ever loved teaching, and I really loved teaching. However, I found being a working mum extremely difficult in comparison to being a SAHM. What’s the difference? When I was working I was doing that job 100% plus parenting 100% or at least trying to and I was extremely stressed, exhausted, guilt ridden, anxious, you name it! I’ve written before that it took the wakeup call of a serious illness to make me realise that things in my life needed to change. I need to stress here, that this is only my experience and not a general view of the wider world!!!!! 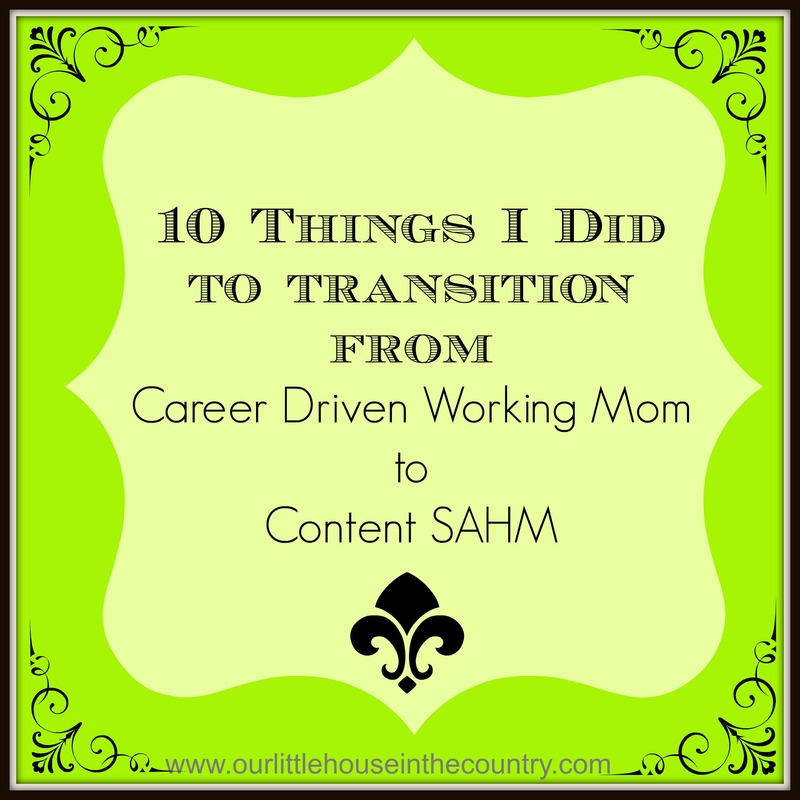 Making the decision to become a SAHM was really difficult to make, but once I made the decision I felt like a new woman, like the weight of the world had been lifted off my shoulders. I worried that people would think that I just couldn’t cope with my management role in a large primary school. I worried that I wouldn’t be able to further my career in the future. I worried that I would be an awful SAHM, that I didn’t have the patience, that I would feel like I was missing out on something, that I would be lonely. And you know what, at times some of those things are true but I have found lots of ways to make it such a positive experience. I tossed and turned over finances, could we afford this, would I miss my financial independence, could I cut back on my penchant for shopping!!!! Above all, I worried how I would adjust to being a homemaker, full time, no time off, SAHM! Continued getting up early: I have always been more of a morning person than a night owl, well since I left college 15 years ago anyway!!!! I get up about an hour earlier than I really need to. This is of course aided by a 2 year old who loves to be up and playing by 6.30am! Even if she isn’t awake I still get up. The purpose of this hour is to shower, dress, put on the laundry, try and get a few little chores around the house done. It means that by the time my son is awake I’m not rushing around trying to get everything together and grouching at everyone. Doodles is NOT a morning person and he really needs me to be calm and organised when he wakes to help prepare for his day at preschool. Now that the mornings are bright again it is so much easier to be up! Reduced my expectations: When I was trying to decide whether to take a career break or not I had all these wonderful plans for the type of mum and wife I was going to be once I was home all day. I actually think that I thought that I was going to transform into a 1950s/Stepford-type wife! I was going to keep a perfect house. I was going to ensure that both my children would be attending university by the age of 6 (ha ha, but I did have all sorts of ideas of how I was going to put my teaching skills to work), I was never going to wear sweat pants – ever (yeah right), I would be perfectly groomed and greet my husband with a smile plastered across my face each night!!!!! Then the feelings of anxiety and stress and self-doubt started to creep in! We made this choice so that I could spend meaningful time with our children. So that our home and family would be happier, not perfect. I make small, manageable goals for each day. I set out what needs to be done, where we need to go and what we would like to do for each day. I have been putting by teaching experience to work, we do a lot more activities together. But, the house is not always perfect, I am always I jeans, sweats or leggings, we have lots of fun but I don’t schedule every waking minute with activities nor do I try to entertain my children all day – I encourage them to play independently for certain parts of every day. I do cook almost everyday, my house is more organised than this time last year but we live in it too!!!! Routine: I thrive on routine and schedule as do my children. It is not rigid but we have a particular order to the way we do things, what time different things happen, what we do on different days etc. This keeps everything running relatively smoothly for us and ensures that D and O eat and sleep well. Keep active: While I would really love time to myself to do absolutely nothing or go shopping I decided to schedule in time, at least three evenings a week to go to the gym or swimming. This is usually only for 30 minutes or so but it really gives me a chance to unwind as well as tone up and get fit. I try to walk a few mornings per week with O in the buggy and I also bring the children swimming twice a week. Keeping active has become a priority and has really helped with my health but has also been a life saver in terms of time out for me. Slow down: Slowing down was surprisingly difficult for me to do. I had become so accustomed to rushing around, being busy all of the time that when we were having a quiet day or nothing planned I found it very difficult to relax and enjoy it initially. I would get a knot in my stomach wondering about what I had forgotten to do etc. Now I try to ensure that our days are not completely action packed. If we have been particularly busy, I schedule a quiet day, a pj day, or a movie and popcorn treat. I limit ourselves to one activity outside the home per day, i.e. swimming or playdate or library or music and try as much as possible to stick to this. Doesn’t work for everyone, but it works for us. Budget: While we have always budgeted for certain things we didn’t have to overly careful all of the time with our spending when I was working. To make this new adventure work for us I made it my mission to see where we could make savings on our spending. This gave me a real sense of purpose and focus over the past few months and while I knew what I was doing for our family on a daily basis was really worthwhile, this was something concrete I knew I could achieve (maybe it’s silly, but I feel need to prove myself, to prove what I am doing is valuable). I changed all of our utility suppliers and saved quite a bit on our monthly outgoings. I do almost all of our grocery in Lidl and Aldi and have saved us about €100 per week on groceries alone!!! I buy most of the children’s clothes in the sales now (I used to spend a fortune on their clothing! ), I have stopped buying clothes for myself unless it is a special occasion – I have waaaaaay too many clothes as it is! I plan our meals and we have greatly reduced the number of times we eat out or get takeaways. I have also stopped buying unnecessary toys and treats for the children. Out of guilt for them being in child care all day every day I used to constantly buy toys and books and comics and treats. They began to expect them. Now a treat really is a treat. Allow a few little luxuries: We have travelled quite alot over the years and usually to very nice destinations, in very nice hotels and resorts, sometimes a number of times a year. We weren’t completely willing to give this up. We won’t be staying in 5 star resorts this year but we will be travelling to the South of France this summer for two weeks. We have saved for it and it’s our luxury for working hard. We also try to treat ourselves to a nice night out every few weeks and we try to have an “at home date night” every week with a nice bottle of vino, good food and time catching up together. Socialise: Being home all day can be isolating and lonely and I was determined to avoid this if possible, especially in those early months when everything was such a high learning curve and a huge adjustment. I try to meet friends from work once a week and definitely once a fortnight for a catch up – they usually call here en route home from work. I love to entertain so about once a month I’ll host a dinner party. We have playdates about once per week. Adult company for me and fun for the kids! Try something new: I’ve been keeping a “positive only” journal since last June, jotting down only positive bits and pieces along the way. But I have been thinking about this blog the whole time. This is my something new. It is my new hobby and will be a great way of recording our adventures for D and O to look back on! I would love to hear what you have done to help yourself adjust to parenthood or being a stay at home parent or working parent. What works for your family? One of the best things about this adventure is that there is so much to learn along the way! Great post! I have considered (and still continue to consider) finding an opportunity to work from home or to just be a SAHM. It is so hard trying to decide how to truly split my time between work and home because I want to give my all to both. I really enjoyed reading this Ciara. I’m in a similar position now and it is a big “head space” adjustment. I feel like I’m getting there slowly but surely!